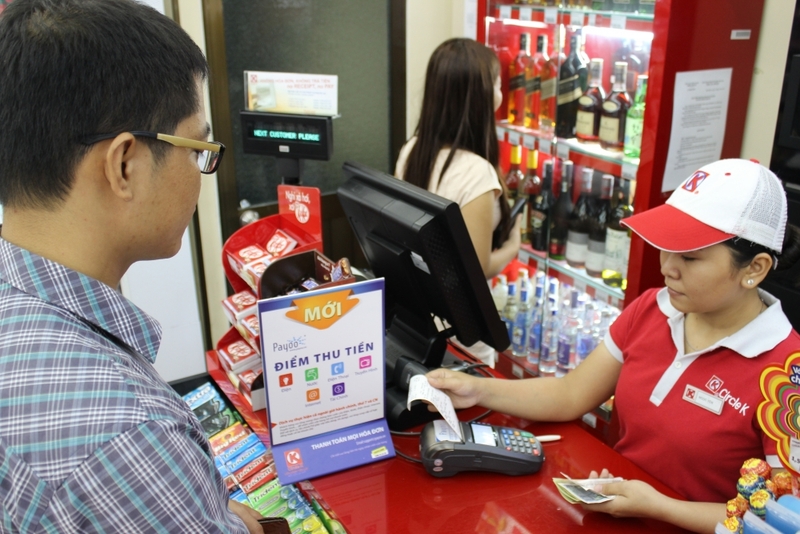 According to a survey, the number of business and individual customers using online payment services in Ho Chi Minh City’s credit institutions increased by 47 percent and 37 percent compared to the end of 2016, respectively. In addition, transactions through internet banking for business and individual customers increased by 13 percent and 30 percent. The number of individual customers registering use of online payment services through mobile banking also increased by 36 percent, and transactions through mobile banking surged 96 percent. Ngo Trung Linh, general director of VietUnion, said the Payoo e-wallet saw significant growth in 2017, enabling customers to pay more than 200 different utility bills. Its payment services are available at over 6,000 points of sale all over the country, and are linked with more than 30 banks. According to estimates, the total transaction value through Payoo has reached about US$2 billion a year. Sean Preston, Visa Country Manager in Vietnam, Cambodia and Laos, said transactions on online shopping channels in Vietnam increased by 135 percent in 2017 and 61 percent on international online shopping channels, with an average value per transaction of about US$42. In particular, airfares and travel products are hot items. Samsung Pay is one of the latest mobile payment services, with an app installed on Samsung mobile devices. It uses Near Field Communication (NFC) and Magnetic Secure Transmission (MST) technology. According to Samsung, in the three months since it was launched, more than 160,000 users have used the app to implement over 148,000 payments. E-commerce trading floors also saw strong growth in 2017. Tran Tuan Anh, managing director of Shopee Vietnam, said that after more than a year in the Vietnamese market, Shopee has more than 550,000 active merchants, providing over 10 million products for consumers. Tiki.vn also heavily invested in delivery and warehousing services in 2017 to meet customer needs. 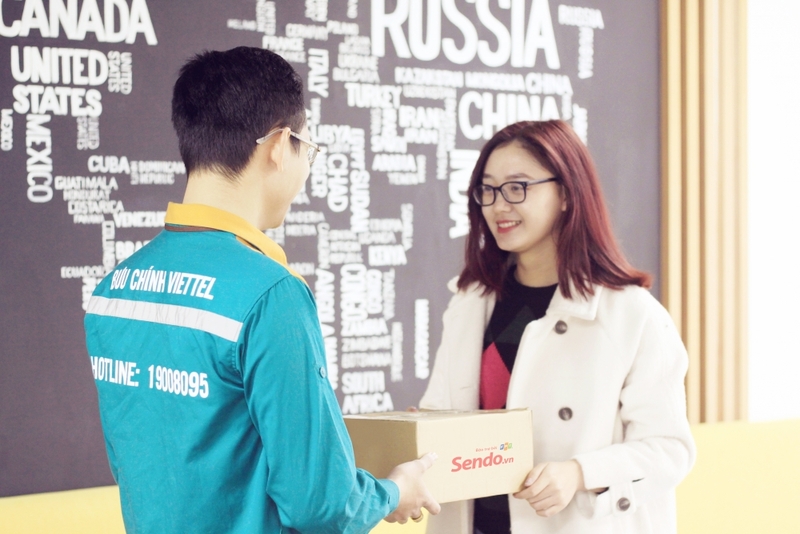 It launched express delivery service in two hours with a fee of only VND29,000 per order, and put two warehouses into operation to ensure that all goods are controlled before delivering to consumers. Lazada Vietnam has seen its increasing sales over the years. In addition to promoting investment in logistics in 2017, the giant online shopping platform announced that it had reduced commissions imposed on merchants by more than 50 percent, starting on October 5. The reduction was one of four strategic goals designed to support their merchants. Ngo Trung Linh predicts 2018 will be a boom year for quick response (QR) code payments in Vietnam. Applying QR code for electronic payments has great benefits for consumers, businesses and banks. According to Samsung, Vietnam has many opportunities for strong development of mobile payments as the retail market is seeing rapid growth, while bank cards and smartphones are increasingly popular. Samsung hopes there will be a Samsung Pay service available on at least three Samsung mobile devices by 2020. The development of mobile payments is expected to contribute to better growth of e-commerce. According to Google and Temasek, Vietnam’s e-commerce will see an average growth of 33-35 percent per year during the 2015-2025 period, making e-commerce a worthwhile investment. Alexandre Dardy, CEO of Lazada Vietnam, said e-commerce has become more prominent. In particular, mobile commerce and social commerce (the use of social networks such as Facebook and Zalo) will continue to grow in conjunction with the trend of using mobile devices in online shopping. In addition, cross-border trade will expand if businesses receive support from the state. Tran Tuan Anh said that e-commerce would boom when people are more familiar with online shopping. As more and more consumers discover e-commerce, branding and services such as delivery, payments and after-sales will have to improve further.